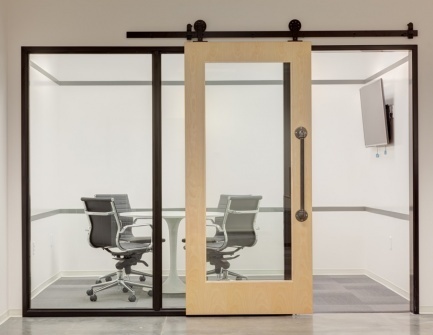 Enhance your office space with beautiful wood doors. We stock a variety of commercial wood doors and wood frames in different species, sizes, and ratings ready for you to pick up today. We also offer services to machine these doors to match your specification and can prep doors for existing frames or any hardware. We can size your door to any width or height you need in our custom Wood shop. Searching for something specific? Check out our products page.